Today we are going to talk about something many of us, of a certain age, don't want to talk about. LBL, Light Bladder Leakage. Ugh, right? But 1 in 3 women experience some sort of LBL. Those not so fun little leaks that can happen during everyday occurrences such as laughing, coughing, sneezing, and exercise. Childbirth, weight gain and menopause can also contribute to LBL. If you are someone that has the occasional LBL, your go to use to be period pads. Bulky icky period pads. Well now, we have another option specially designed for LBL! Poise Thin-Shape Pads are comfortable, non-bulky, leak protection and are thin and flexible. They are made specifically for light bladder leakage! There is even a free sample now so you can try them out, click here. So, now that you know about the Poise Thin-Shape Pads, what do you do with your old period pads? I suggest you recycle them! How you ask? You know me, I'm a helper and, I have compiled a list of The Top 10 Ways To #recycleyourperiodpads! 1. Keep some under the sink for big spills. They work especially well with cooking oil messes. 2. Keep them by the door to wipe off your pet's paws during the wet seasons. 3. 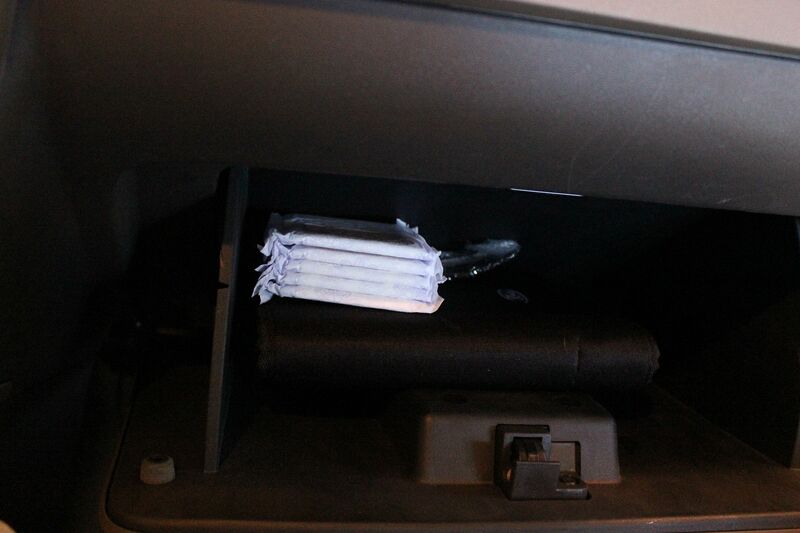 Stash some in the glove box in your car to soak up snow & muddy shoes. They are also good to take wet sand off of feet during beach season. Not to mention, those times you spill your coffee or other drink! 4. 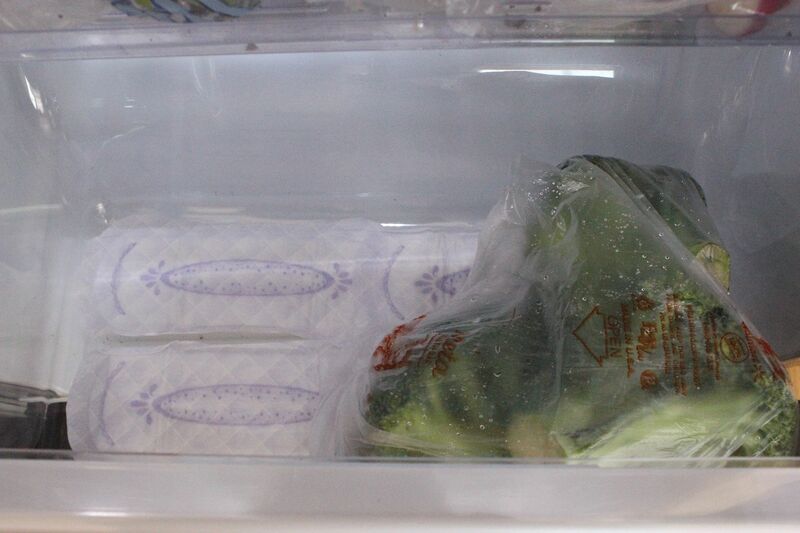 Line the veggie bin in your fridge to keep moisture out and keep veggies fresh longer. 5. Use to polish silver. 6. Use to protect glasses and dishware if you are moving or are storing them. 7. Use instead of towels if a toilet overflows. 8. Use to clean your windows. They are ultra absorbent and lint free! 9. Take some along with you when you go camping or hunting. They can come in handy as emergency bandages or, to use as hot pads over your campfire grilling stick. 10. Donate them to a local women's shelter. You can find out more about Poise Thin-Shape pads here and don't forget to pick up a Poise Free Sample while you are there. I just learned that they are awesome for photographing meat! Put them under the meat where they can't be seen and they'll soak up the blood so your photo looks nicer. Who knew? I think donating to a women's shelter is an EXCELLENT idea! Washing windows? wow, great tip! I don't have any old pads but if I did your ideas are great one's. Poise is a great product. Donating is a great idea! You are very creative! lol Love this post! I love your list, never thought of some of these ideas. I did donate a few bags of pads to a local group who houses women and children in need. My local women's club puts together baskets of items these women might need, nail polish, laundry detergent, soap, pads, etc. This is an excellent post on a sensitive subject for so many. Did you know that pads make great G I Joe beds. a fact I learned a long time ago from another mom. Also kids can stick them to there feet and slide all over the floor cleaning as they go. Shake it off!!!! You're Gonna Love It~It's Time To Party! You're Gonna Love It~Anything Goes For April!